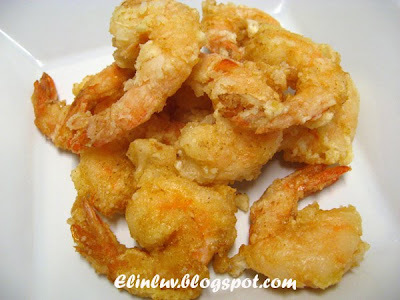 If your shrimps are fresh...it would be great to make this dish as an appetizer or starter. 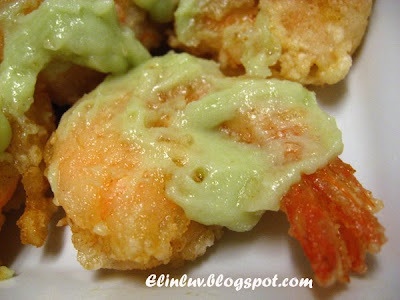 I love this wasabi coated shrimps...a delish no doubt. 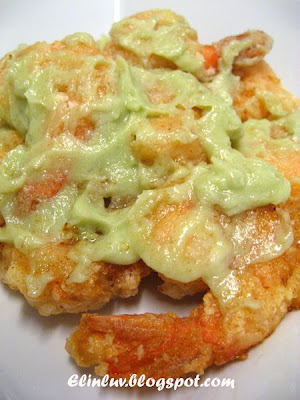 The pungent wasabi added oomphs to the whole dish of crispy shrimps. A great way serve this dish as an appetizer. I will definitely try this dish again, it was delicious and I love it because the wasabi cream was truly a great coating for the shrimps. The original recipe didn't call for coconut cream but the adventurous me just can't help it...it was a great combo after all ! Your prawn looks so good! So crispy! Love them! i can only see and drool.. sigh..
Looks delicious but I'm not a great fan of wasabi, will sneezing! 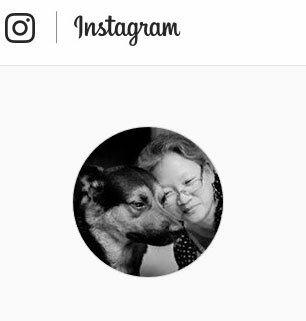 Hehee..Elin, thanks for trying! Adding coconut cream in the wasabi sounds great. I'll definitely want to try it when I want to cook this again. Fascinating! Not a big wasabi fan myself but this I would try. Oh dear, I'm a great fan of wasabi! I would like to try this out, should be nice! Beautiful combination of flavors. Love the prawn dish. Elin, have you tried honey prawn walnuts at a Chinese restaurant? They are similar to this dish but your is more unique and flavorful! Tanantha...yup... honey prawns with walnuts is great and this wasabi prawns is just the opposite..it kick you in the nose LOL! 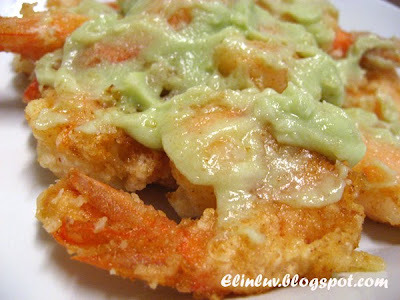 Eating wasabi almost every day, I must say that your recipe is a great and simple idea! Will have to try myself! I saw this recipe too! Can't wait to try this! Elin, this prawn dish looks mouthwatering....simply irresistible! This recipe is a must...what a great combination!